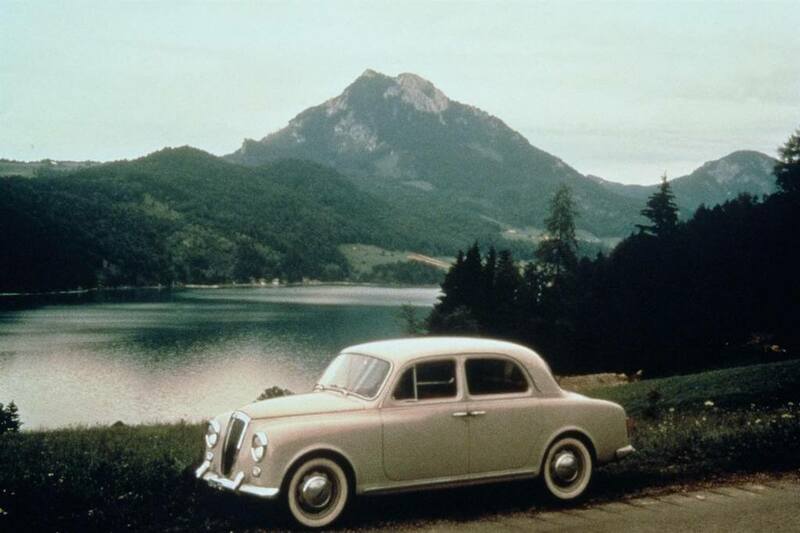 Launched in 1953 at the Turin Motor Show, the Lancia Appia was the Italian marques entry level family saloon. Named after the Roman Appian Way, the four door saloon shared many features with the more expensive Lancia Aurelia but was more basic in design. 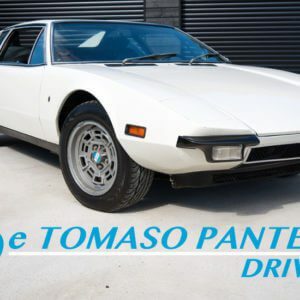 It debuted with a revolutionary, narrow angle, 1.1ltr V4 engine designed by Vittorio Jano (who would later design the Ferrari Dino V6). Despite producing just 38BHP, the compact family saloon had good performance thanks to the use of aluminium doors, boot, bonnet and rear wings. In a further emphasis on weight reduction, the car featured aluminium bumpers. A four speed manual transmission was standard with drum brakes on all four wheels. The car was also fitted with Lancia’s unique sliding pillar front suspension, which was a type of independent suspension and had debuted on the Lancia Aurelia. 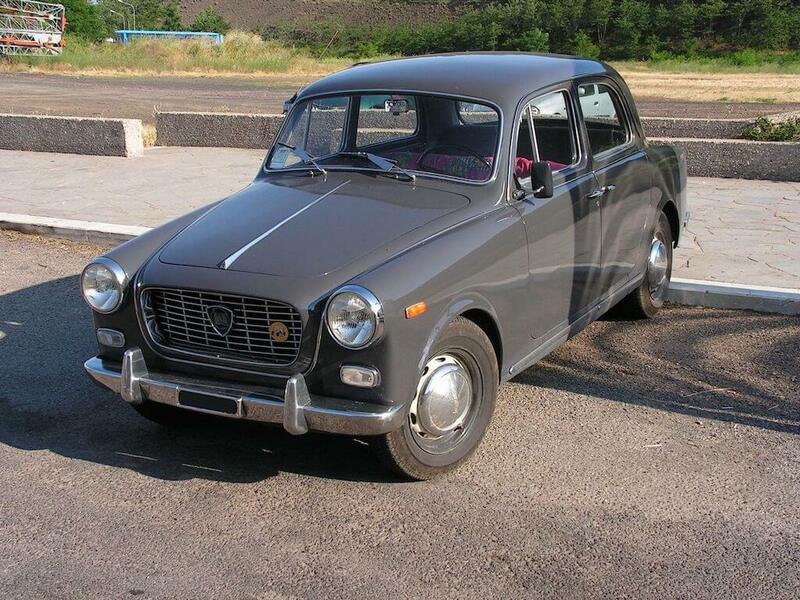 The Series 2 Lancia Appia was launched in 1956 and saw engine power increase to 43BHP. 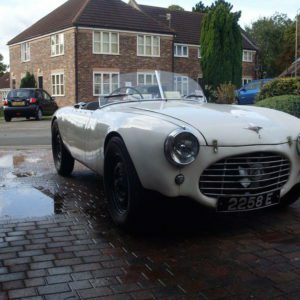 This was followed the the final Series 3 Appia in 1958. Power was again increased to 48BHP and a new dual circuit braking system was added. The updated model also saw the traditional Lancia vertical grill replaced with a wider rectangular grill which had debuted on the new Lancia Flaminia. Despite strong sales for the Series 3 (and the model selling over 100,000 in its life tie), the Appia was not as successful as Lancia would have liked and was eventually replaced by the Lancia Fulvia in 1963. The Series 3 saw a revised front end the introduction of the wide grill. 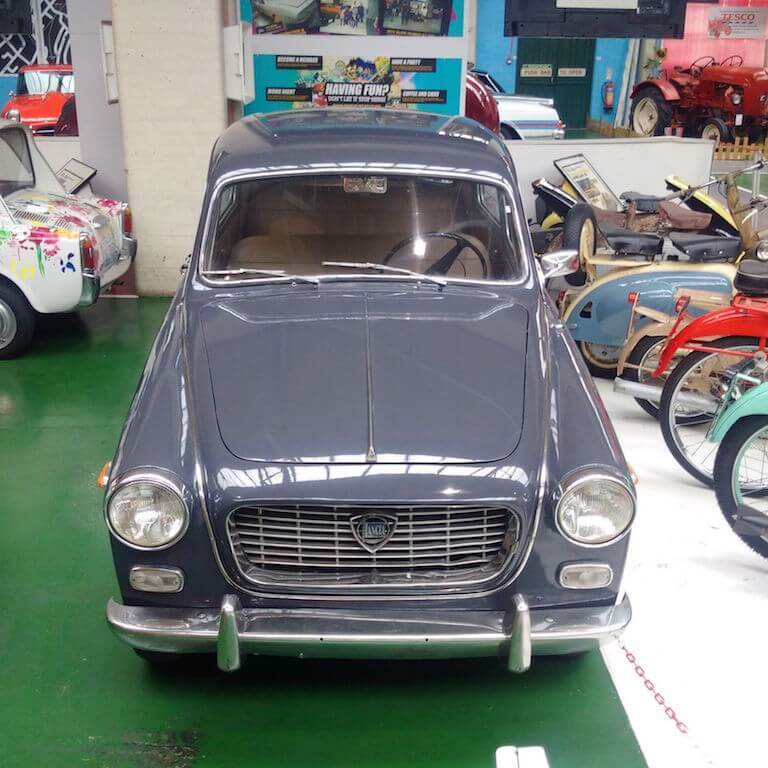 We have come across an interesting 1959 Series 3 Lancia Appia for sale on eBay. 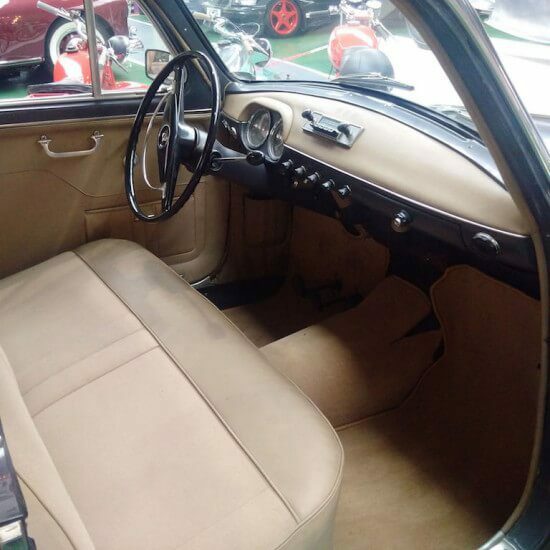 While the seller provides little information about the cars history, it is said to be in good condition, is mechanically good and starts and runs. The car can be viewed at the London Motor Museum which suggests it is one of their display collection. Some of the photos supplied show the car in Italy and with its original plates and on display in the museum. The car appears to be in good order on the outside and the interior also looks to be in very nice condition. The Appia with its Italian plates. We assume this was taken in Italy. While not as beautiful as the Lancia Aurelia, the Lancia Appia is a really nice 1950s Italian saloon. Its exterior design is very simple and understated which makes its party piece all the more special. The cars most striking feature is its suicide doors and pillarless side profile. It gives the interior a real sense of space and is a definite wow factor. Despite the lack of a side pillar the Appia was noted for its rigged unitary construction which did not impact its handling. And the doors are said to shut with a very satisfying “clunk”, a testament to Lancia’s build quality and attention to detail. We love the simple dash on this Appia. Very clean and functional with the gauges and switches nicely spaced out. On the inside the interior presents very well. 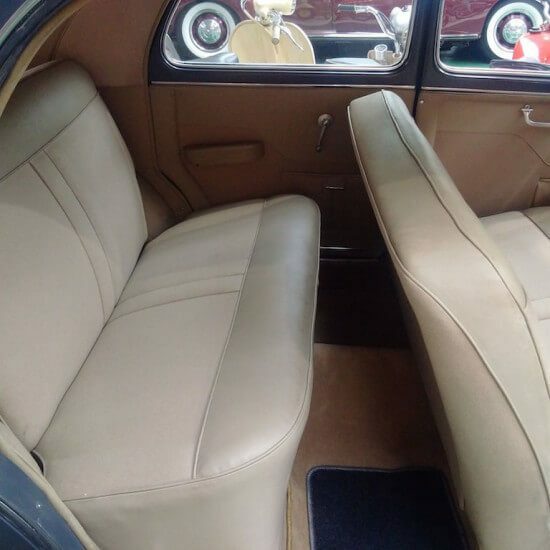 The front bench seat and rear seat are finished in a light beige and seem to be part cloth, part leather/vinyl. We particularly like the simple and uncluttered dashboard design, with the twin binnacles nestled behind the steering wheel a lovely feature. The four speed transmission is column shift operated. We also note that the steering wheel bears a striking resemblance to that found in the later Jaguar Mk2. The interior presents very well and is very roomy thanks to the pillarless design. No photos of the engine bay are provided which is a shame so we can’t comment on the compact V4 motor. We do know that some Appia’s were fitted with a rare 4 port head which, when combined with a Weber carb (replacing the standard Solex carb), makes for a noticeable improvement in performance. 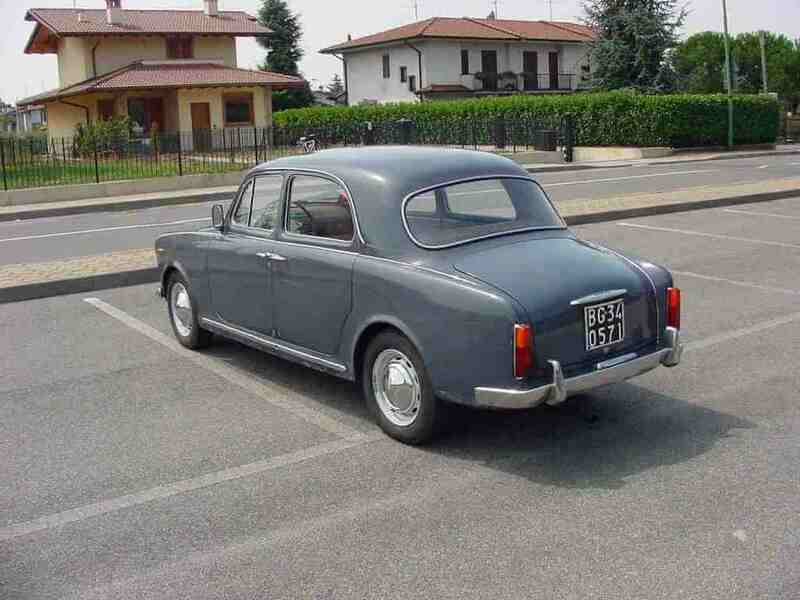 While there is little information provided on this Lancia Appia, we think it is worth checking out. Its current museum location suggests it has been looked after and stored in a safe and dry environment. And car museums usually only put well preserved/restored examples on display. For us this Lancia is all about its clean looks, wonderfully elegant and simple dash and of course the pillarless doors. They are also fun drive and handle very well. And it is a fascinating design from an era when Lancia were engineering some of the most advanced cars ever. Everything from the solid click action of the indicator stalk to the button on the brake reservoir which allowed for all four brakes to be bled separately and without assistance, to the oil feed front suspension, show that Lancia’s engineers lavished attention of their cars. It was detailing such as this that set Lancia apart from its Italian rivals. 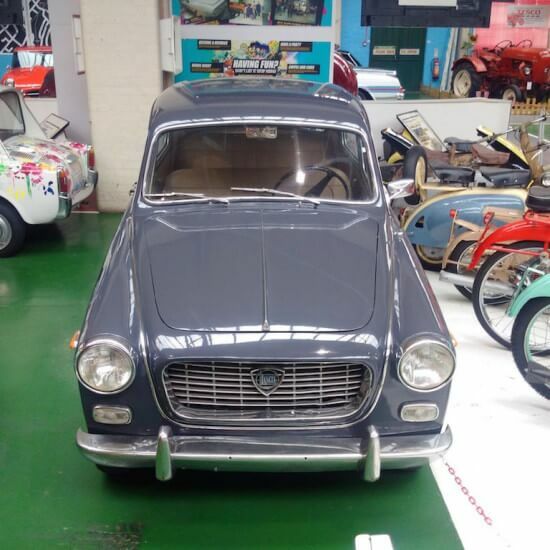 This Lancia is located at the London Motor Museum in Hayes, Middlesex and has an asking price of £14,950 which is open to offers.